Our Staff – Friendly and Experienced. 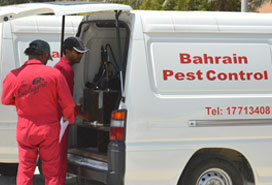 We believe that the high standards of our friendly and experienced pest controllers are the strength of our company. Most of our staff stay with us for years, passing on their knowledge, practical experience and the company ethic to newer recruits. Continuous in-house training ensures that our teams can provide the safest and most effective pest solutions, using the most suitable chemicals & techniques for any given situation.